It’s Christmas. Well, to be truthful I’m writing this the week before Thanksgiving. Such is the life of a writer. This time of year is bittersweet for me. My mother’s late month birthday always falls around Thanksgiving, her favorite holiday. She’s been deceased a decade. It’s still hard. We love Thanksgiving but there’s that empty chair. Christmas always held the knowledge my Uncle Billy Rhea, a World War II pilot, was shot down and killed on Christmas Eve. That added a layer of family strife to the holiday that I didn’t understand until years later. 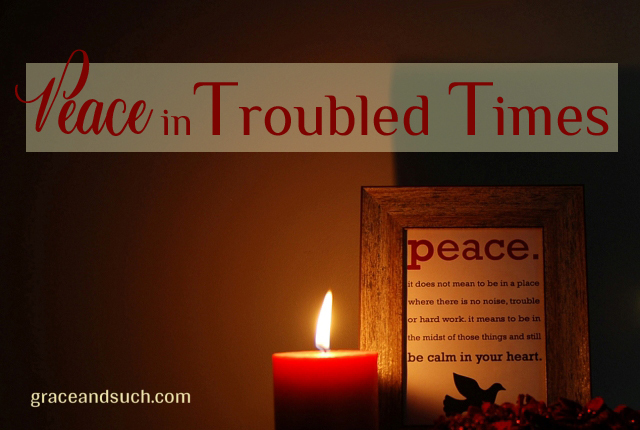 Between the stress of the holiday to do list and family history, peace can be hard to find. But it’s not just me. The season is also difficult when folks aren’t sharing a Norman Rockwell holiday or have suffered a loss. Friday November 13th, a dear friend with a high school senior daughter lost their husband and father. Their holidays will be holy days of a different sort this year for them. At the same time, same day, Paris suffered untold horror and loss that continues. The “terror” in terrorist has done its job. Fear spread to our shores. Everyone is jumpy. My sisters live in New York City and Washington DC, high profile cities with much reason to let peace fly out the window. Even in the smallest towns, their mayors, pastors, teachers and parents are dealing with hard questions and tension. Peace. It does not mean to be in a place where there is no noise, trouble or hard work. It means to be in the midst of those things and still BE CALM IN YOUR HEART. I’m staring at my coffee cup inscribed with those words and thinking, just how am I supposed to be calm? How are WE supposed to be at peace? Oh, my coffee cup. I can’t call it that anymore because I gave up coffee for health reasons. Sniff. Not a great time to be going through detox. I didn’t expect the withdrawal to be worse than the caffeine jitters. Talk about not being calm, not being at peace. Just because I gave up caffeine didn’t mean I’d instantly calm down. I had to work through the headaches, sluggishness and just plain missing my morning cup. I said at the time if you give up morning coffee all you have left to lean on is exercise and prayer. Those things help calm me down. Working up a sweat on a hike. Talking to God about my problems. But there is one thing I rely on constantly, superseding all else. Jesus. For to us a child is born, to us a son is given; and the government shall be upon his shoulder, and his name shall be called Wonderful Counselor, Mighty God, Everlasting Father, Prince of Peace. ~ Isaiah 9:6. This time of year we focus on God sending Jesus to us as an infant, to live among us and experience the life we live. We think of the calm night with angels and stars over a manger. The angel song only broken by a baby’s cry and the bleating of sheep. But remember the city of Bethlehem teemed with people from all over coming into town for the census. Tempers were short. Inns were filled to capacity. Wars raged elsewhere. Evil kings ruled. So what did God do? God sent Jesus, the Prince of Peace, to bring that peace beyond all understanding to our hearts and minds. We may have to work through the noise of the world’s troubles. And yes, it is hard work. But Jesus is with us. God with us. Emmanuel. Have faith peace will be found because the Prince of Peace has come. We just have to do the work to recognize His presence this season. Blessings to all! God IS with us. And he was with us and the Parisians on November 13th, just like he’s with us today and the people of San Bernardino. So much hurt and anger and hate in the world but thankful for God and his peace. Wow! How timely. 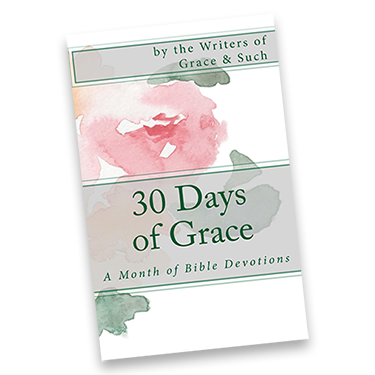 You are so right…’We just have to do the work to recognize His presence this season.’ But it’s worth the effort if you consider the sadness of the alternative. What a beautiful post, Julie. Like you, I continue to feel my mother’s absence during the Holidays. Her presence still lingers though like a warm embrace. And yes, we live in scary times where horror and terror are ever present. I struggle to understand how people can commit such hideous acts. But I pray for a better day where we do have peace and understanding. Praying for a blessed holiday season. Lovely post in the midst of the not-so-lovely. May peace continue to rule in your heart.